An Arctic blast brought snow to Harrogate & the surrounding District this weekend, but the Harrogate Nova Strava Club members weren’t deterred. 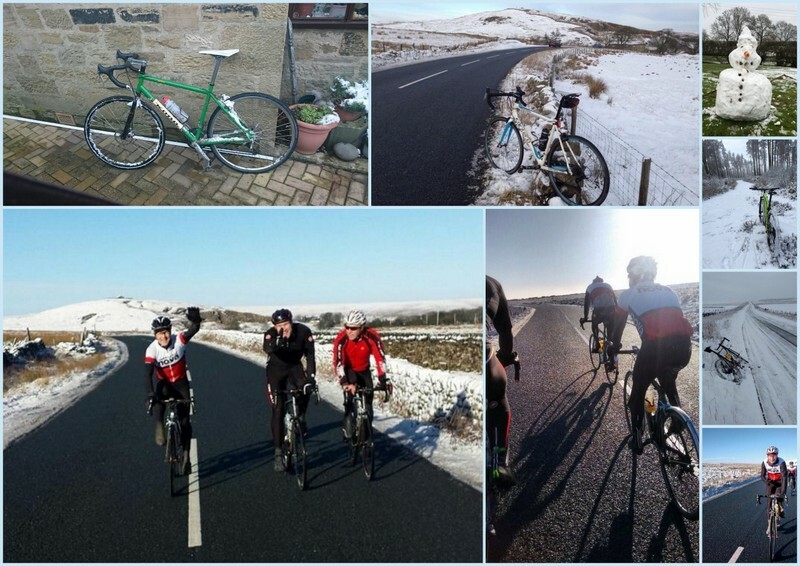 Craig Jarratt took his Kona out for a snowy blast; Graham Schofield headed out to Greenhow with his Carerra; Will Roberts had time for snowmen between Follifoot & Spofforth. Richard Pennock & Artful Codger skated their way to to Stainburn Forest; Paul Lehan, Mike Worden, Mike Wilberforce & Greg Ketteringham found sun & snow on Greenhow on Friday morning. 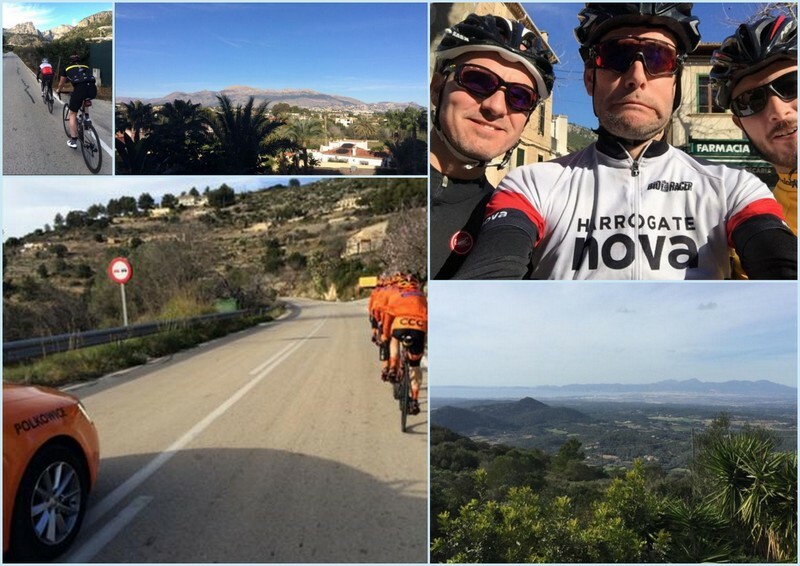 Further afield, Bryn Bevan found sun (but no snow) in the Transtramuntana mountains of Majorca last week and Simon and Greg Ketteringham and Mike Worden found sun and CCC-Sprandi-Polkowice in Alicante on Sunday afternoon. In racing news, Nova members headed to Milton Keynes for the final round of the 2015/16 British Cycling National Trophy Cyclo-Cross series. In tough conditions, Dave Morris secured 18th placed Vet-40, with Ted Sarmiento in 33rd. 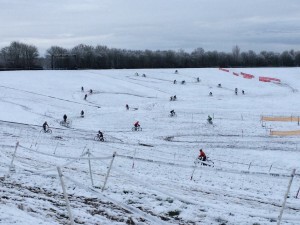 The final round of Yorkshire Cyclo-Cross Association 2015/16 winter series takes place at Leconfield, East Yorkshire, on Sunday 24 January.